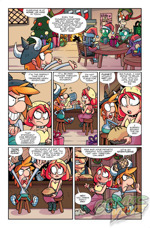 The holiday issue of the Munchkin comic by Boom! Studios, has folks saying . . . Augh! No! Not in the cratchits! No, really, they're saying it's funny, loot-tastic, and backstabby, just like Munchkin should be. Here's a preview page from Comic Vine, with a sneak peak inside. 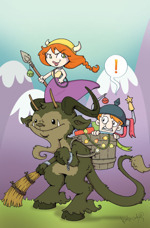 And check out this review from BigComicPage.com.